Comfortable self-contained cabins with full kitchen and bathroom. 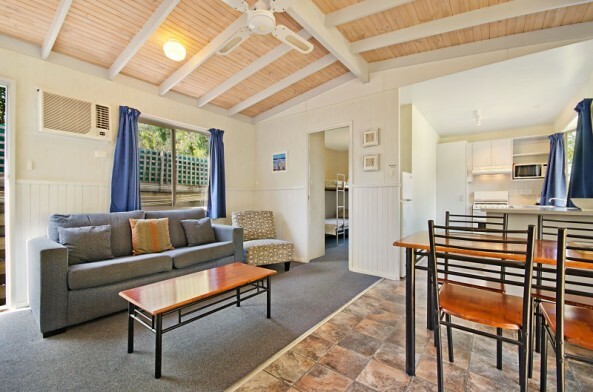 Deluxe cabins have a zoned livingroom area separate from the kitchen. 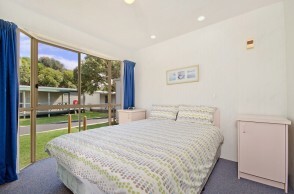 Offering two bedrooms with queen in main bedroom and bunks in the second bedroom. Cabins will sleep a family of four to six. 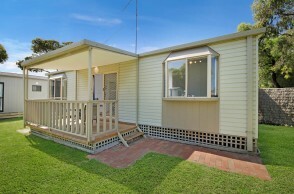 The majority of deluxe cabins have verandahs. 2 Bedroom Cabin – Queen bed and bunks. Also available 2 Bedroom Cabin with Queen bed in main bedroom, and Double with single over the top in second bedroom (subject to availability).